In the movie "Wild Card" gambling is featured in all sort of shapes and sizes -- those expressed in a more metaphorical situations. Every character in the movie has his/her own "gambling" dilemma. And by gambling (or gaming), we mean something that we fight for or we desire. But in the end, gambling does teach only one thing: that we are losers... both our time and treasure -- two of the things that are most precious to the life of man. In this movie's realm, life is presented as a game of chance -- it's either you take on a bet, get it for free, slip on the opportunity, or do what it takes to get that one thing that you desire. During the battle, your courage is your only shield of protection, but when the game has come to an end, the side with the more winnings will be declared as the big winner. But the problem with gambling is that you will never know if enough is enough. This is also Nick Wild's dilemma. When addiction strikes, enough will never be enough. You will always ask for more! See more photos of Jason Statham as Nick Wild here. Watching the movie "Wild Card" will only give more questions than answers when it comes to giving a whole new level of entertainment value to moviegoers. I experienced it first hand by asking myself Why?, What happened?, and How come? among others. I, myself gambled to watch the "Wild Card" movie, but to no avail, I also lost some of my precious things on Earth. I can only say Jason Statham is really good in action films, but in action-drama films, the producers or director may have second thoughts on gambling with him. 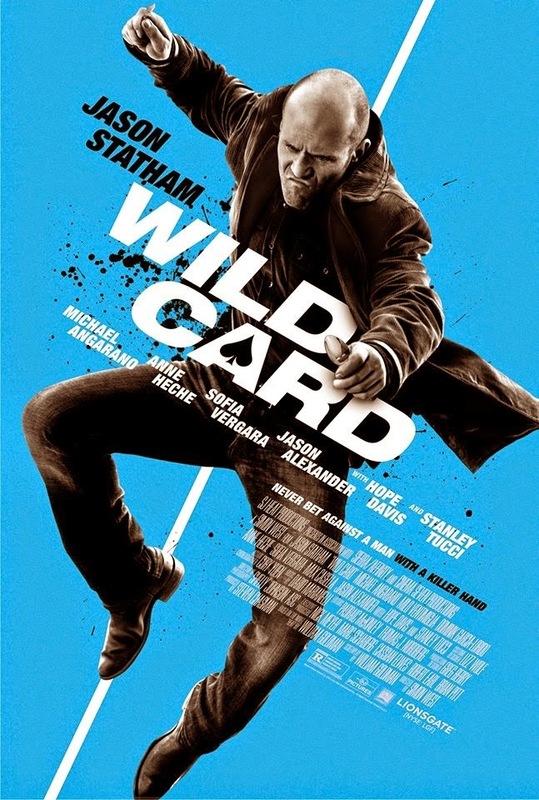 "Wild Card" starring Jason Statham, Sofia Vergara, Milo Ventimiglia, Michael Angarano, Anne Heche, Jason Alexander, Hope Davis, and Stanley Tucci is showing in the Philippines on March 11, 2015. Watch the official movie trailer of "Wild Card" here. Jason Statham manages to be particularly deadly with cutlery in the few fights there are (three short fights that is), for which he should be commended.